CTW has a large influence on our industry. Market Square buyers will have a rare opportunity to purchase their product at wholesale pricing. Every piece is handmade and unique and no two pieces are the same, for that reason buyers will only be able to purchase their product at the Gallery show. The ladies of New Cottage Designs warmly invite you to experience the comfort and simple beauty that is the farmhouse style. It is a way of life that reflects a love for the land and the bounty it possesses. Just walking into Ragon House’s booth you’ll see the difference that quality and creative people have had on their business. 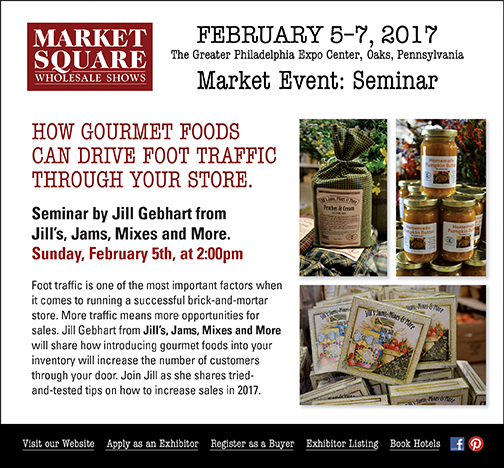 You’ll be excited to see what new products they are debuting at the February Market Square in Oaks and the exquisite booth presentation they always put together. Learn how gourmet foods can add foot traffic through your store. Soft sculpture primitives artist adorns products with unique details. Artist, Patty Hill of Primitives at Crow Hollow, will demonstrate how she makes her detailed primitive soft sculpture home decor and pillows at 2 p.m. on Monday, February 6, 2017 at Market Square Shows in Oaks, Pennsylvania. 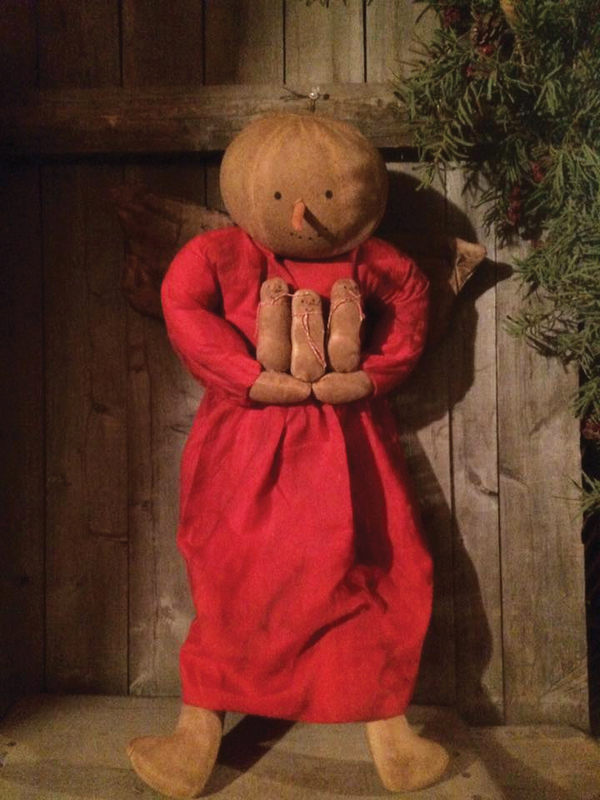 Soft sculpture angel by Primitives at Crow Hollow. Silent auction supports the pediatric cancer foundation, One Mission. 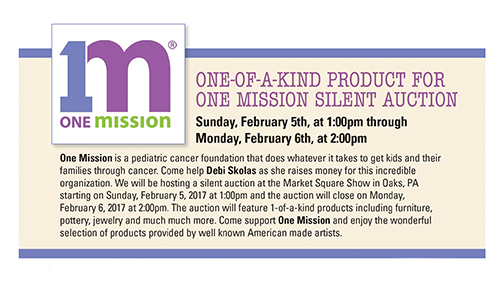 Participate in a silent auction at our February show in Oaks, Pennsylvania. When you do you will support American-made artists and kids and their families through cancer.